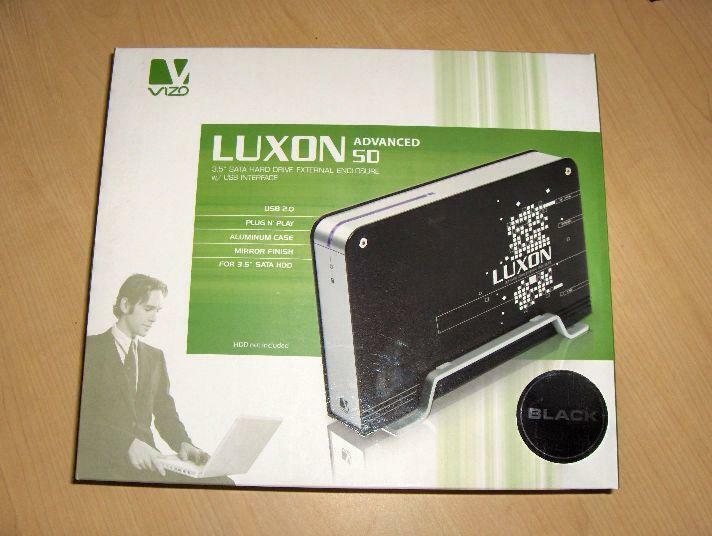 Vizo has sent us yet another fine product up for review - their Luxon series of external hard drive enclosures. 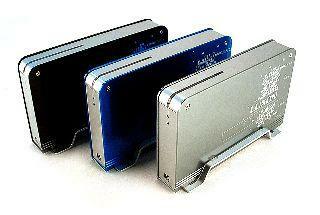 With three colors: black, gray, and blue, as well as IDE, SATA, or eSATA capability, these enclosures have everything that a person could want. 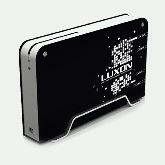 Vizo presents Luxon 3.5" HDD External Enclosure featured with IDE & SATA interface. 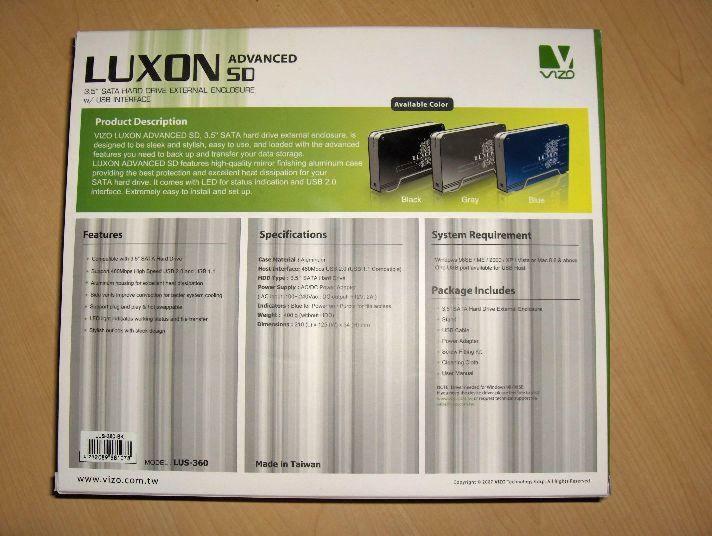 Serial ATA (SATA) hard drives feature faster speeds, easier configuration; it is the next generation that provides error free data transmission at high speed. The sturdy drive cage protects your hard drive while the aluminum case effectively draws away the heat, protecting your drive from overheating. 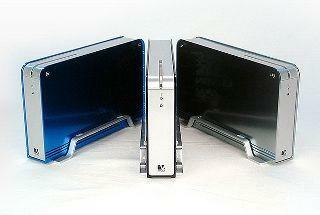 With high-quality mirror finish & sleek stylish face and installation easily to carry conveniently. 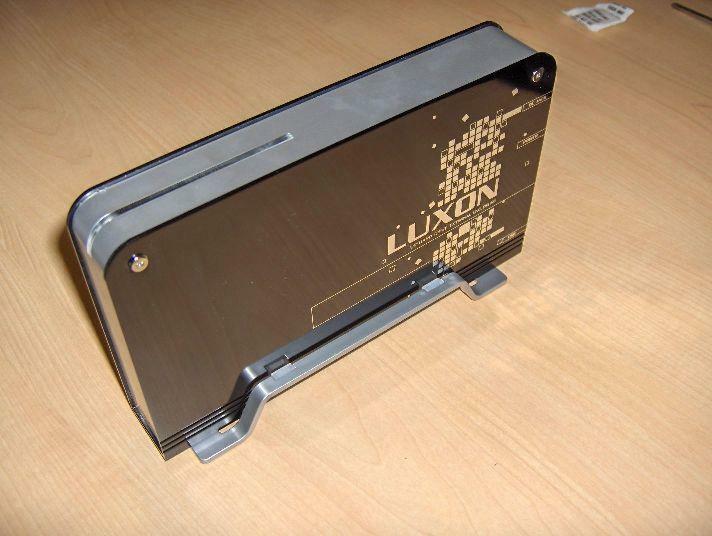 Aluminum housing for excellent heat dissipation. 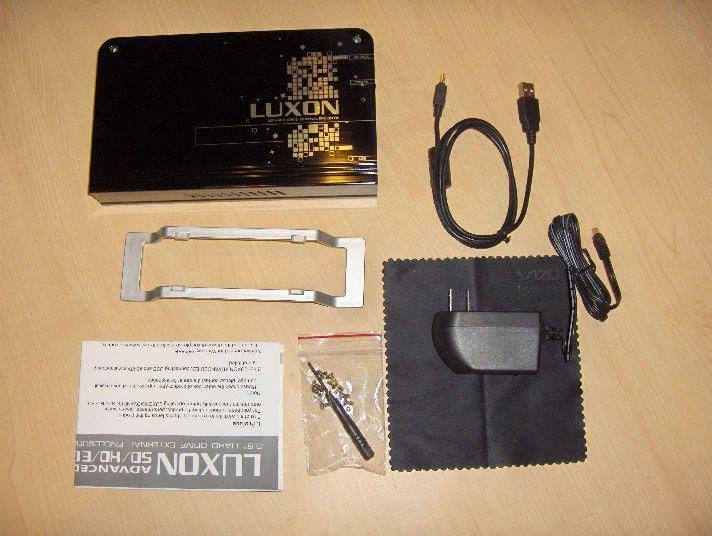 The Vizo Luxon comes with the metal enclosure, USB adapter, enclosure stand, manual, cleaning cloth, AC adapter, screws, and small hex screwdriver. 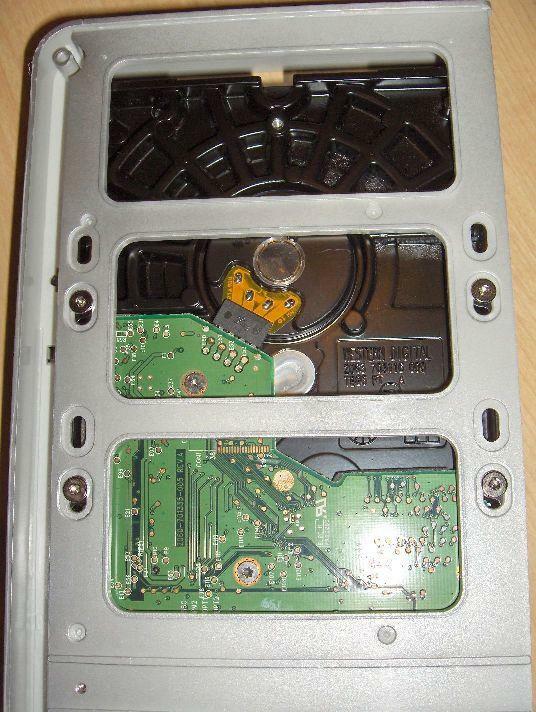 The eSATA enclosure also comes with an eSATA cable. 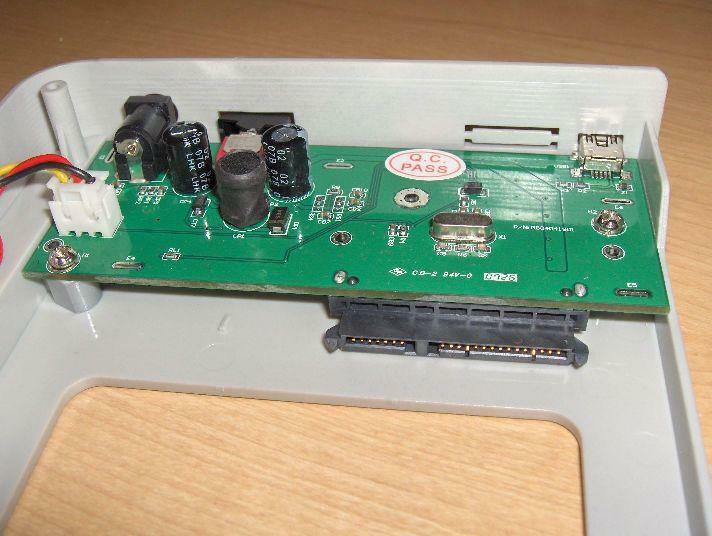 NOTE: In order to utilize the capabilities of eSATA your motherboard must support eSATA or you must have an add-on controller that supports eSATA. 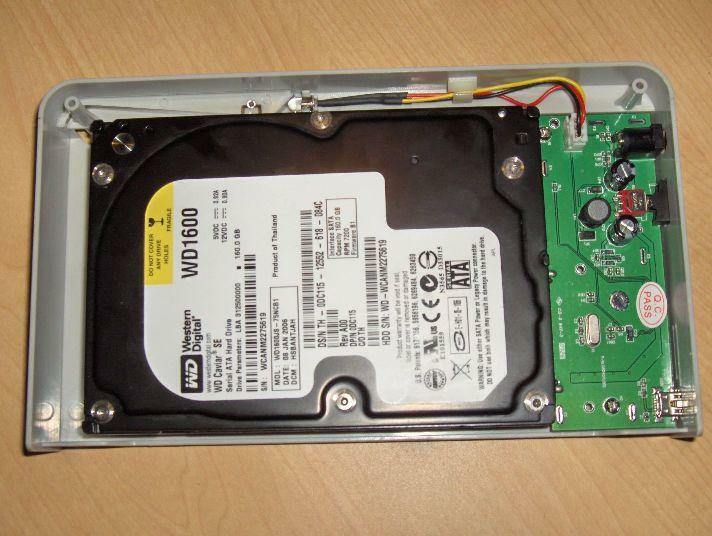 Normal SATA controllers or ports on your motherboard will not operate as eSATA ports. Installation of our test hard drive went smooth and easy. As you can see the internals are simple and installation is pretty straight forward. 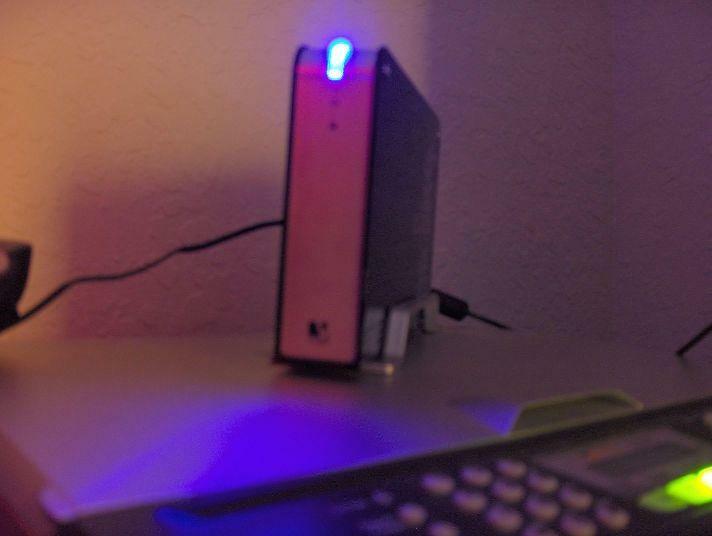 Powered on, the top plexiglass sliver lights up blue. 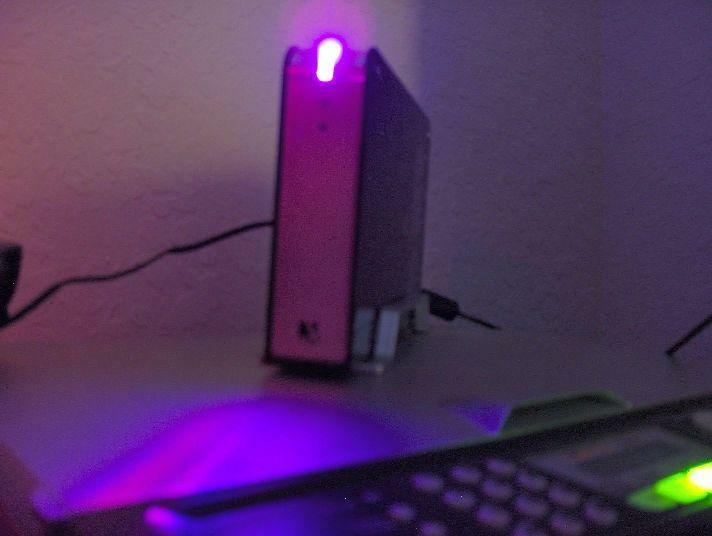 During HDD access, this color changes to purple, we found the hard drive light to be one of the easier to see of the many external enclosures we have tested. This enclosure has very nice lines, as well as a nicely designed vent on the bottom. The image on the side is classy, and the mirrored finish adds a nice touch to any room. 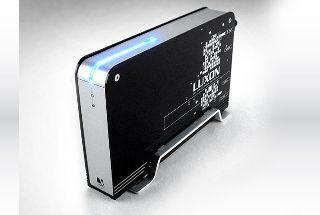 Its aluminum construction allows the case to be light, as well as an efficient heatsink. 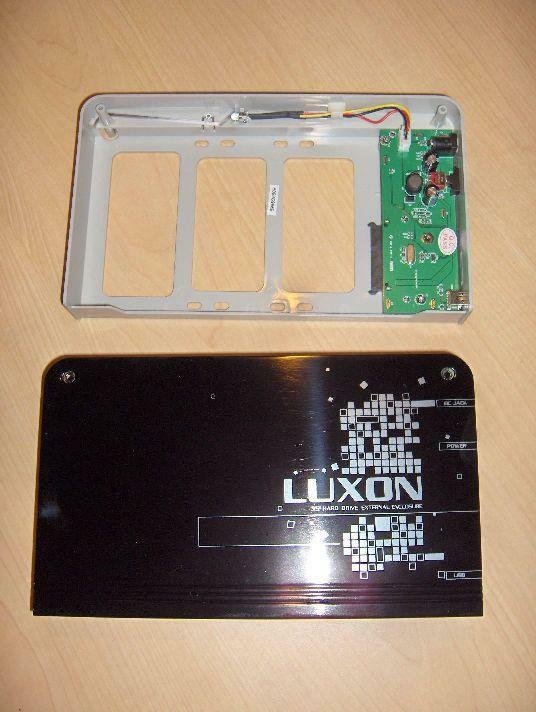 The only thing we didn't like was how hard the screws had to turn to secure the enclosure, but this can be fixed by using a better screwdriver located around the home. Though it is a nice enclosure, the $65 price tag we found did not seem to be too easy on the wallet. 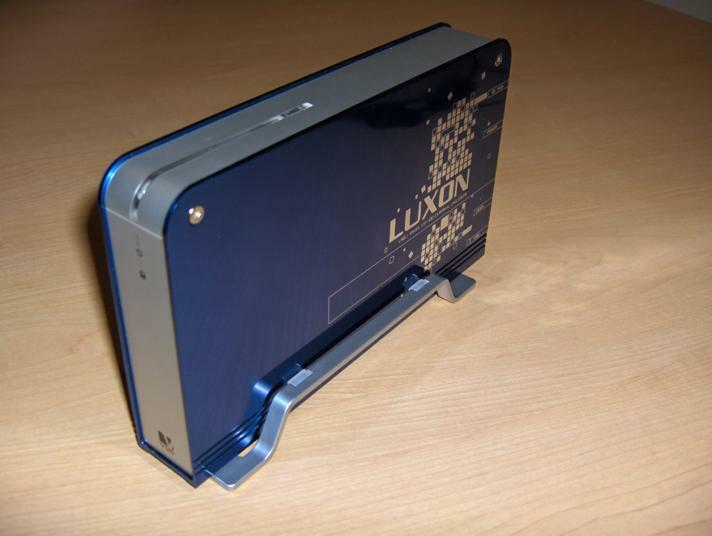 Although for an eSATA equipped external drive enclosure with good looks it is priced appropriately.